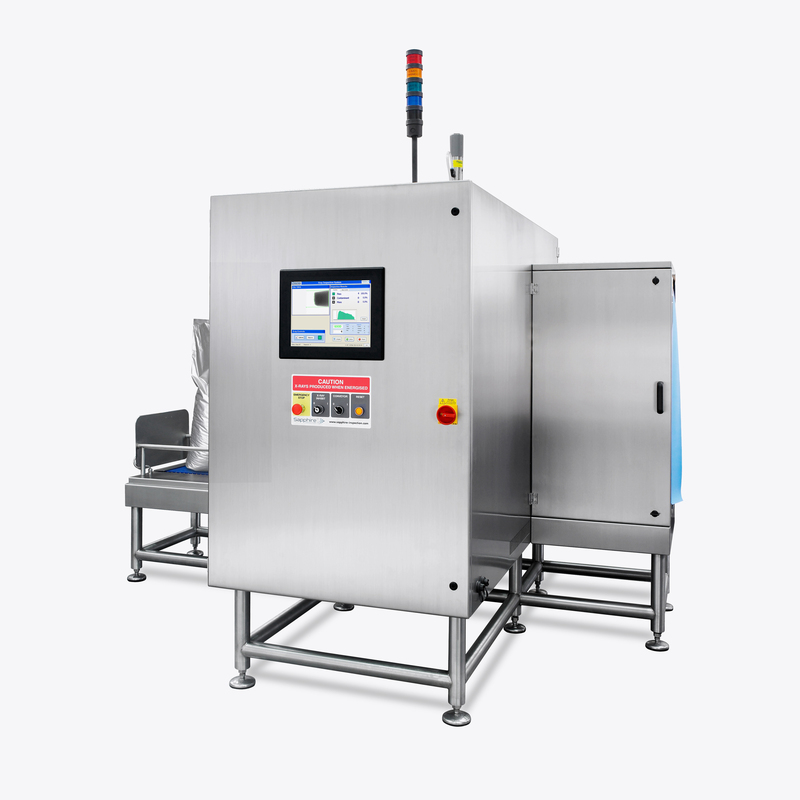 Sapphire Inspection Systems offer the fruit and veg sector a wide range of systems, applications and reject options to suit your varying manufacturing requirements. From frozen fruit and vegetables, to fresh, canned, pureed, pickled and pastes the options to inspect in-line and end of line have multiple options. Heavy bulk flow item, such as potatoes demand a different treatment to delicate items such as salad leaves. Accurate fill levels (useful for brine in jars of pickled vegetables). Seal and cap inspection (significant for pouches of pureed baby fruits and other semi-fresh fruits and vegetables). Component counting (ensuring packaged salads always have their sachets of dressing). Mass measurement (ideal for accurate weight measurement of irregular items such as bags of potatoes). Even seasoning distribution (on pre-seasoned vegetable trays). Packaged fruit and vegetables now use a variety of containers including metal and foil as well as glass jars and plastic pouches. 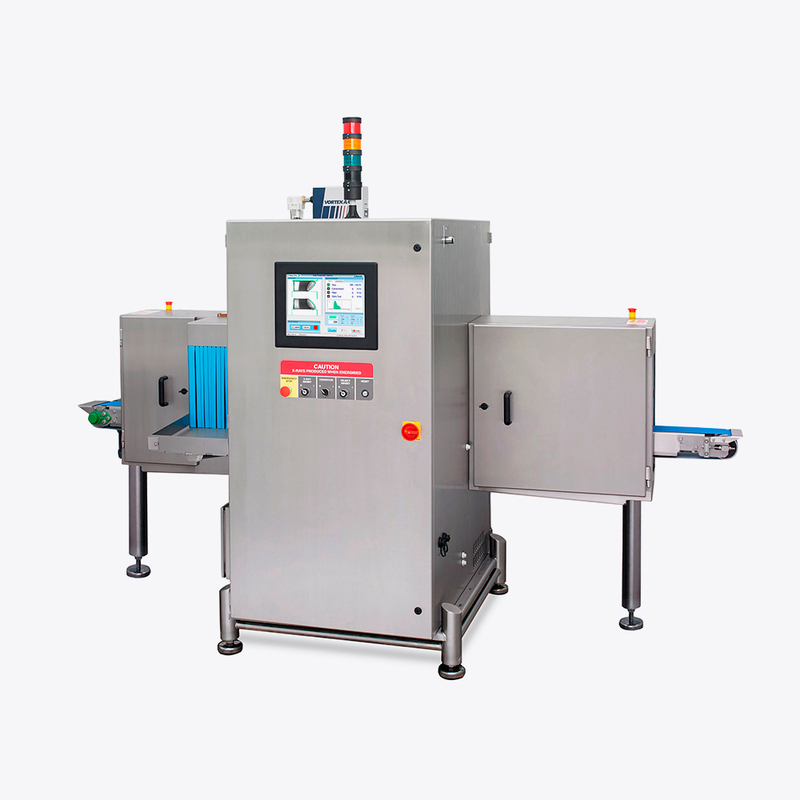 X-ray offers the opportunity to examine in any kind of packaging, including by case load at the very end of line prior to shipping.